The Koreans have their soju, the Russians their vodka, and in Brazil it’s cachaça, a sugarcane-based liquor most widely known as the main ingredient in a caipirinha. As a spirit, cachaça is less popular in the western world than its close cousin rum, but in Brazil it’s enjoyed on the regular and often sipped neat. 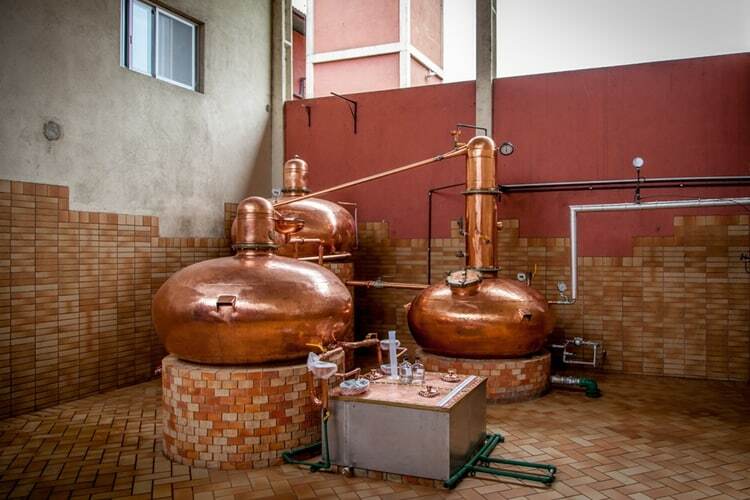 That’s because contrary to the few mass-produced, relatively forgettable expressions that reach the shores of America or Australia, in Brazil most quality cachaça is produced in small batches directly in the rainforest using sophisticated, eco-conscious ageing techniques and distillation methods. The result is a delicious, grassy intoxicant that’s not short on character or flavour and easily worthy of more attention among those who take their liquor neat. Novo Fogo (which translates to “New Fire”) is the perfect representation of cachaça done right. The brand offers a modest variety of expressions that range primarily according to age, with each statement paying the utmost respects to Brazilian culture and geography. It’s with absolute pleasure to name Novo Fogo 86 1-Year Barrel Aged Cachaça as our “Spirit of the Month” for February of 2017. Read on for a brand overview, tasting notes, a Q&A with their CEO and some nifty cocktail recipes. On the colour front, Novo Fogo 86 looks similar to white wine, flaunting a sort of pale blonde body. And while the taste of Novo Fogo 86 was abundant with unexpected complexity, one would also imagine the later age statement (Novo Fogo 85) smoothens out any harsh edges, deepens the colour and adds some heft and density to the overall flavour profile. Here’s a breakdown: Nose: Being a novice when it comes to cachaça, I quickly thought of rum upon taking that first whiff. However, that was probably just the brain clinging to the familiar. A few more hearty whiffs gave way to sweet notes of butterscotch, sugar, grape and tropical fruit like pineapple or banana, along with wood and grass. Along with the aromatic bouquet of sweet and grassy notes were heat vapours. Taste: At first sip comes a rush of rich, surprising flavour. I detected banana, wood, coconut water, tropical fruit, grape and butterscotch. As the 86 settled in my mouth, some of the flavour gave way to heat. Finish: The liquor thinned out on the finish and left a trail of heat with remnants of cream. Again there were echoes of rum and even a taste that reminded me of sherry (though much stronger). 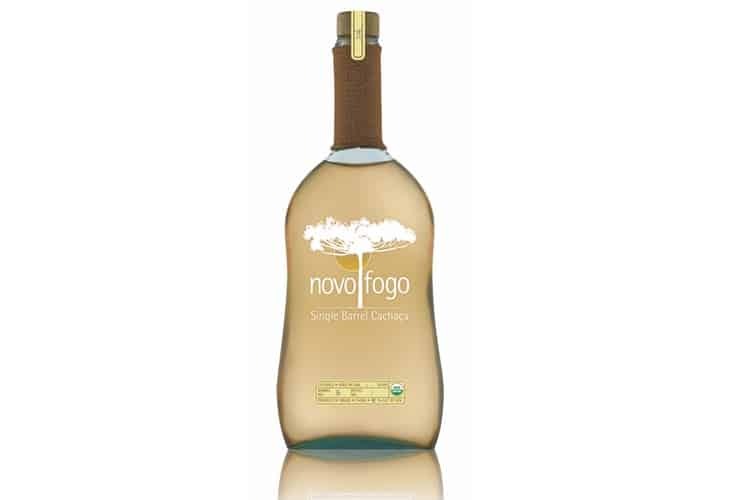 Overall, Novo Fogo 86 offers surprisingly diverse flavour with notes of tropical fruit, wood, butterscotch and grape. In my opinion the spirit thins out a little toward the end and falls just short of words like “smooth” or “mellow”, but at the same time it never gets close to being abrasive or unpalatable. Some of that pure, raw power is also due to the 48% ABV, which is the maximum ABV allowed by Brazilian law for cachaça, making Novo Fogo 86 one of the strongest (if not the strongest) cachaças available to consumers worldwide. Read on for a brief interview with Dragos, where he dives into his many passions. Following the interview are three signature cocktail recipes that use Novo Fogo Silver or Novo Fogo Barrel-Aged Cachaça as their base. Cachaça is generally overlooked in the states as a spirit meant to be sipped–is it traditionally sipped neat in Brazil? 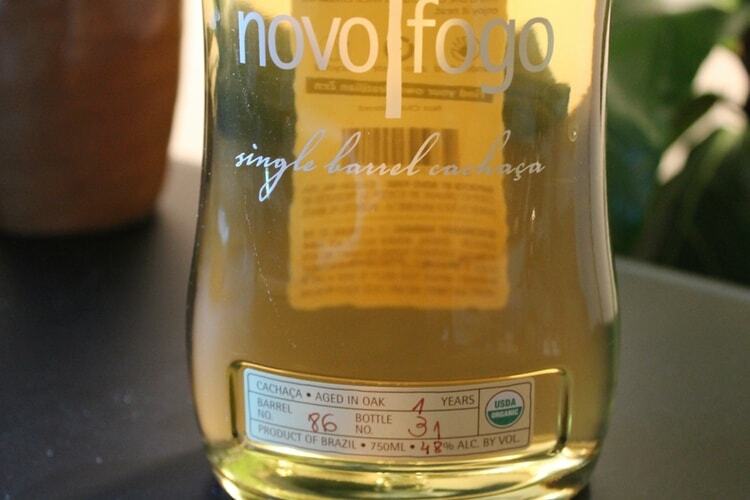 Barrel-aged cachaça represents over 90% of the cachaça labels in Brazil, and most of them are sipped neat indeed. However, a big part of the volume comes from industrial cachaças and these are still consumed in mixed drinks like caipirinhas and batidas. The past decade has seen a sharp increase in aged, sipping cachaça and a slight decline in industrial cachaça. Is there a particular story about the brand or the spirit itself that you would like to share? Yah. We call it “Novo Fogo” because it reflects a new way of doing agriculture in Brazil. In the past, deforestation or burning fields in agriculture would not be given a second thought, if there was profit to be gained. Our “new fire” reflects the foundation of a new consciousness in Brazilian farming that recognizes the importance of balance and sustainability. Brazil could feed the entire world for a century without cutting a single tree down, but only if this new fire is maintained. We want to reward those who make good decisions so that they become role models in their communities and lead by example, teaching their peers that, in fact, you can do well by doing right. As far as taste is concerned, what are the most important distinctions between cachaça and rum? Most rums are made from molasses, while cachaça is made from fresh pressed sugar cane, which is similar to the Rhum Agricole category. 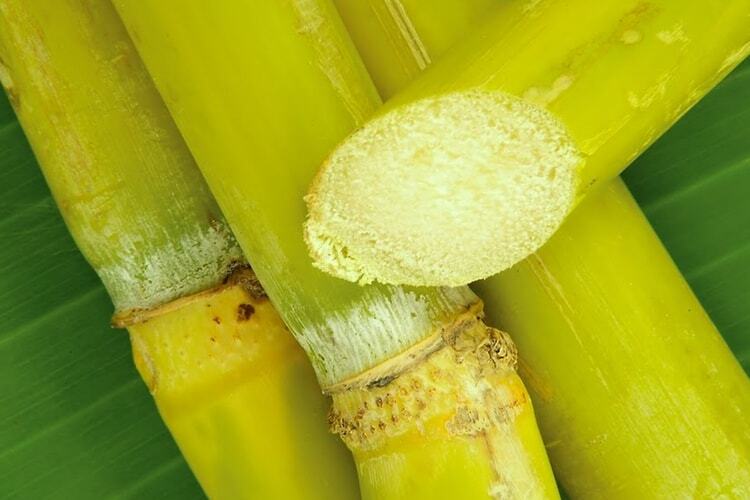 Cachaça is vegetal, grassy, fresh, and more of an environmental and terroir driven product, while molasses rums tend to highlight vanilla and rely on the barrel for more of their flavour. What are the differences between Novo Fogo and other brands? The mostly widely produced brands are massive industrial spirits that smell like burnt rubber and taste like gasoline, so the difference is pretty obvious. Among craft cachaças, I think that our clean rainforest and coastal environment applies more of a terroir influence to the finished spirit, so you can taste the sea salt, banana, and floral notes pretty easily – even in the barrel-aged expressions. On the business side, we are proud to be the only independent craft cachaça brand available in the US that owns its distillery. Novo Fogo uses lots of different aging methods and types of barrels. Are the differences between each expression subtle or obvious and why? 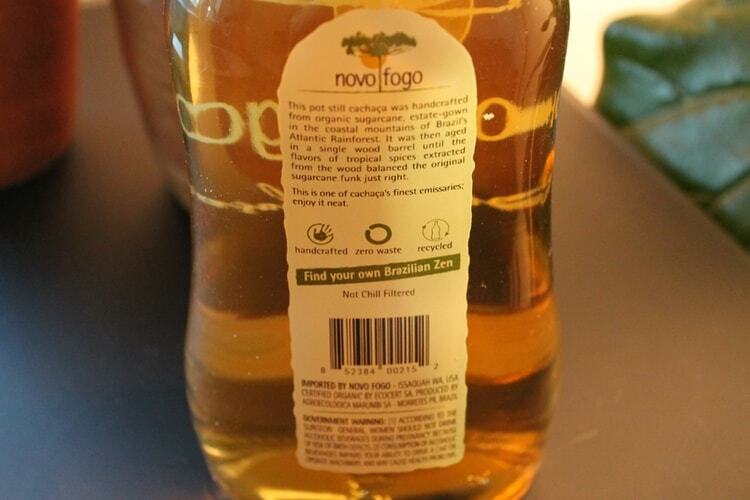 About 60% of cachaça is aged in oak – mostly American, but also some French. 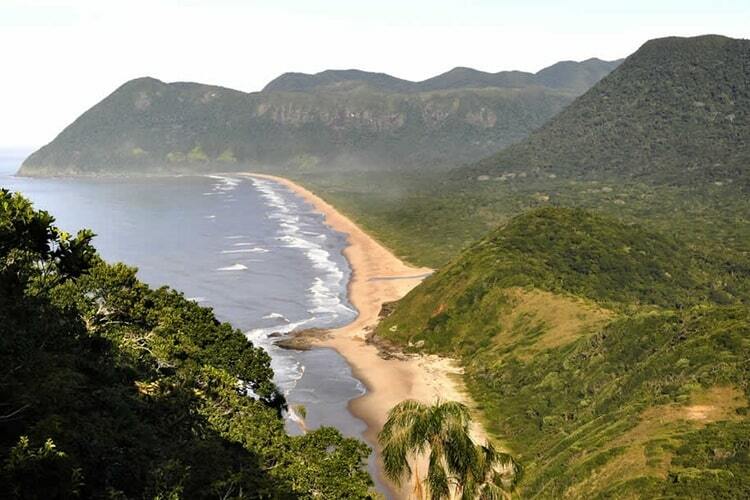 This started out at the beginning of the 21st century as a sustainability decision, meant to begin the preservation of Brazilian native woods, most of which are endangered now. 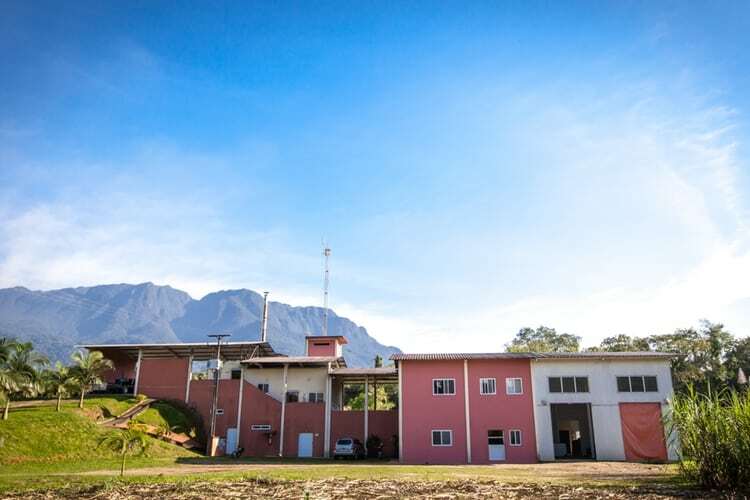 Fulgencio Torres, the founder of our distillery, was probably the second cachaça leader to recognize this need and begin employing renewable oak barrels. 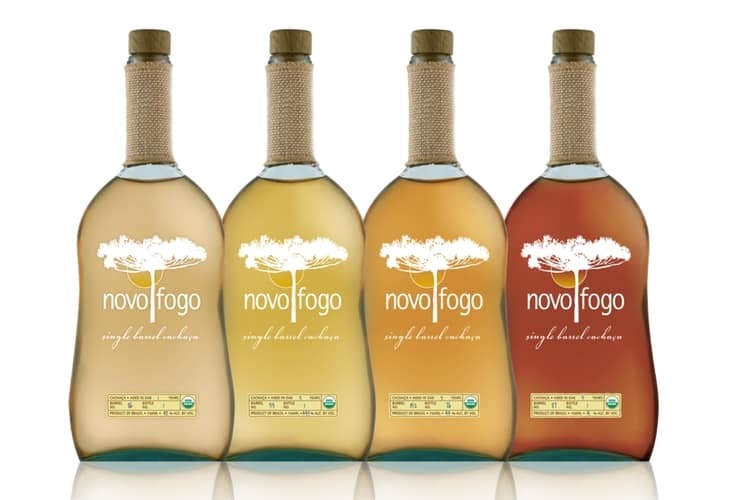 During the last 15 years, the Brazilian audience has embraced both this drive towards sustainability and the flavor of oak-aged cachaça, which brings notes of toffee and vanilla into the spirit. In fact our staple oak-aged cachaça expression (under our Brazilian label, Porto Morretes) was named #1 cachaça in Brazil in 2016 in a blind tasting by the reputable Cúpula da Cachaça. So you see that we are leading towards the new tradition of American oak, and proudly so. 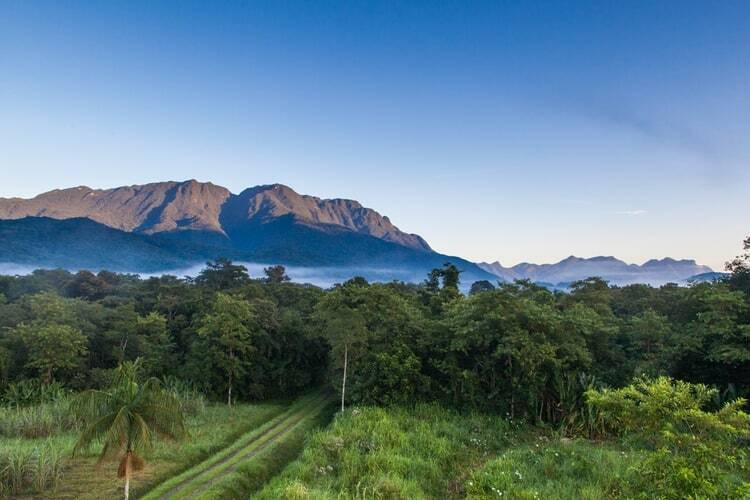 Our rainforest environment bakes our cachaça in the oak and changes its flavor in the direction of banana bread – think dark chocolate and cinnamon. But we are trying to raise awareness for the fragile state of Brazilian woods by issuing very limited releases of two-woods cachaças: these are aged in oak but finished for a short period of time in Brazilian woods like arariba (zebrawood), which brings spicy, oily notes of tropical fruit and holiday spices, or castanheira (Brazil nut wood), which tastes like pecans and cherry custard. Barrels made from these woods are very difficult and expensive to obtain legally, so we keep these releases very limited and we never use the native woods for primary aging. We have sourced these woods from unusual sources like abandoned houses and we are planting new trees on our property to raise their population. What qualities are intrinsic to cachaça that allow it such versatility and absorbency as far as aging goes? 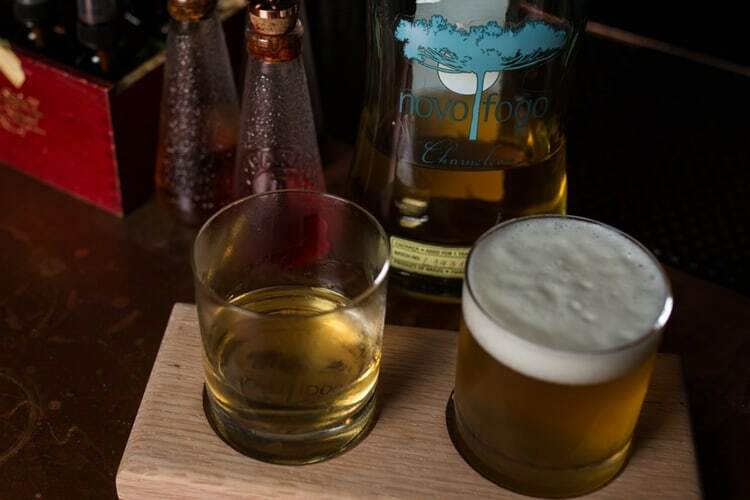 Cachaça is created from a very raw product (sugarcane) with almost no processing, and Novo Fogo is distilled at relatively low proof, preserving as much natural flavor as possible. Similar to other Latin spirits like tequila and mezcal, these flavors react to wood quickly and we seek to adopt a unique marriage of flavor between the base spirit and the wood rather than let the wood take over. In addition, the heat and humidity of the rainforest make aging occur super fast. Two years in our jungle are akin to six years in Kentucky or twelve years in Scotland. Any advice for emerging distilleries? It’s hard. It’s harder than you think. It’s even harder if you protect people and land over commercial interests, like we do. If you don’t love it, don’t start it. But if you start it, make sure that it represents you and your people, because being yourself is the only way to navigate the complex world of survival and growth in the liquor world. Best cocktail using this particular expression? We’re very proud of our single barrel expressions, and I personally like drinking them with a beer on the side, boilermaker style. I actually have this particular one, Barrel 86, on the cocktail menu at my home bar as a boilermaker with Stiegl-Radler grapefruit lager, which highlights the spirits young age and high-proof freshness (48% ABV).